A Magherafelt man currently awaiting sentencing for public order offences is now facing a set of similar charges. Brian Stewart Coulter (55) of Princess Terrace is accused of using disorderly behaviour in Molesworth Street, Cookstown on March 13 as a well as attempting to damage a PSNI cell van. 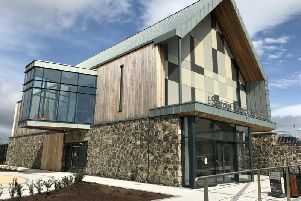 A defence solicitor told East Tyrone Magistrates Court his client could not attend as he had been required to appear at Magherafelt Magistrates Court in relation to an alleged breach of probation handed down for a separate matter in that jurisdiction. He had been due to attend at Magherafelt last week but initially failed and a bench warrant was issued. However around 30 minutes later, a defence solicitor told District Judge Alan White his client had turned up, but “was not in any fit state to face the court”. A one week adjournment was granted resulting in Coulter being unable to appear on the fresh East Tyrone Magistrates Court matters. As a precaution District Judge John Meehan ordered police to formally connect Coulter to the charges. The case was adjourned until April 17 to link with the public order charges already admitted and for which a pre-sentence report is being prepared.